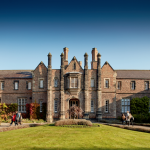 The LIdIA Research Unit in the School of Languages and Linguistics at York St John University will be hosting the 51st annual meeting of the British Association of Applied Linguistics from 6-8 September 2018. The theme of the conference is ‘Taking Risks in Applied Linguistics’. 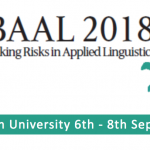 British Association for Applied Linguistics (BAAL)2018-06-09T17:33:50+01:00June 9th, 2018|Comments Off on Register for BAAL 2018, York St John University, 6–8 September: ‘Taking Risks in Applied Linguistics’!